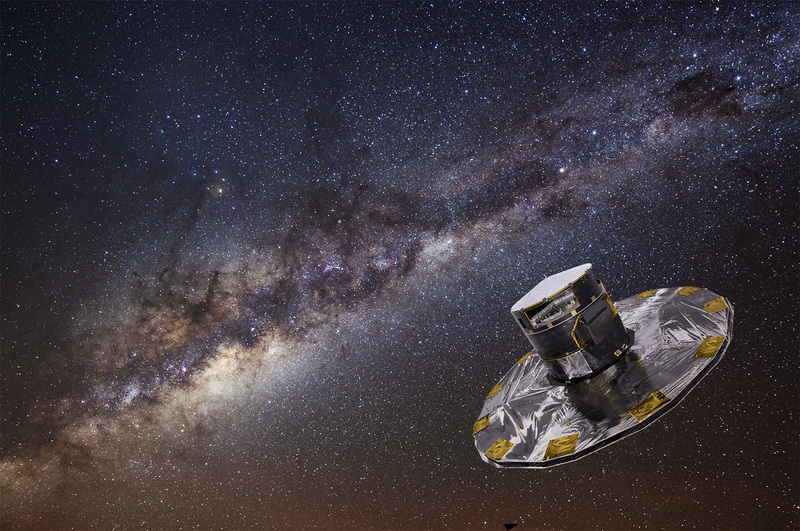 Spacecraft Gaia is going to map our entire galaxy. And with all that data, NASA scientists hope to compose a five-dimensional map of our galaxy, and discover the Milky Way’s past. Three years ago, spacecraft Gaia was launched. Then the spacecraft, which basically is a giant telescope floating in space, needed the past three years to put together a draft of a map of our galaxy. The reason it took Gaia so long to only turn out a draft is that the spacecraft has already catalogued more than a billion stars for this draft. This is of course an incredible amount, but Gaia isn’t done yet. Our galaxy consists of over 200 billion stars, so the telescope has only catalogued half a percent of all stars. Gaia is going to further map our galaxy for at least another two years. In these five years, Gaia isn’t going to be able to map the other 199 billion stars, instead Gaia is going to focus on refining the data about the billion stars that the spacecraft already mapped. Gaia has already mapped the position and brightness of over a billion stars, and also the distance and speed of the two million brightest stars. In the next two years, NASA scientists, who control the spacecraft, want to find the distance and speed of way more stars. They’re hoping for a billion. But that’s not all, they also want to map the speeds of the 100 million brightest stars in 3D. While the speeds of the other, dimmer stars are only in 2D, so only sideways. These data will enable scientists to create a five-dimensional model of our galaxy, and essentially predict the Milky Way’s past and future. This could teach us a whole lot about the Milky Way’s possibly violent past, as there are indications that the Milky Way has absorbed quite a lot of smaller galaxies in the past. Which would have caused violent collisions of which we still can see traces today. This galaxy-map will also help scientists understand the birth of stars better. Because with the data that will be gathered by Gaia, scientists can calculate the size and also the age of stars, which are essential for finding out how stars actually form. Another thing is that our own Milky Way is a bit like the earth’s ocean floor compared to the moon. We’ve got a better grasp of what’s happening on the moon than on what’s happening on the ocean floor. In a similar way, we know more about some other galaxies than about our own home. That is mainly because the Milky Way is so big, and we’re right in it so we can’t really take overview pictures of it. This makes getting a good, complete view of the Milky Way really hard, but Gaia is changing that. 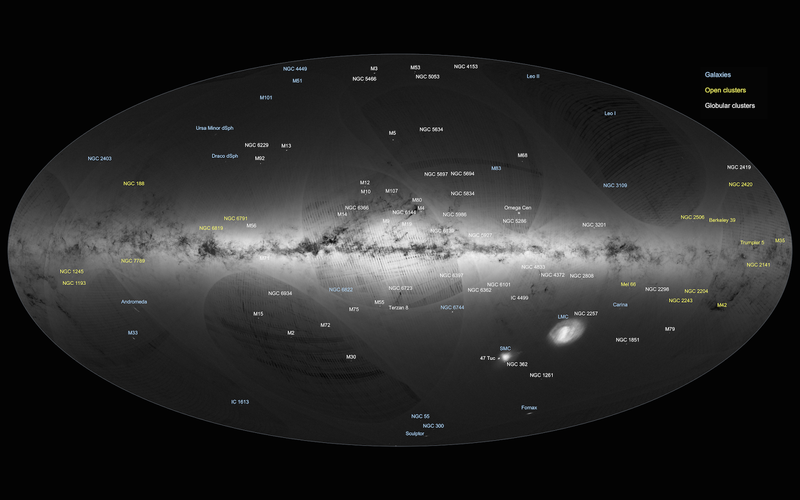 Within a few years, we’ll have the most detailed map of our galaxy yet. And we will, no doubt, have learned all new kinds of cool and interesting things about our own galaxy, thanks to Gaia.